We offer a wide range of Panel Meters, including Little Genius Series, Nano Series, Tiny Master Series and Alpha Series. They offer high performance and are manufactured as per the international standards. These are known for their durability and high quality. It is offered in different shapes, sizes and grades as per the demands of our customers, who are spread all across the globe. Backed by considerable industry experience of 10 years, we are engaged in offering a wide range of Demand Controller, Multi-function Meter, Dual Source Energy Meter, Power Factor Controller, Energy Management System Software, Motor Protection Systems, Prepaid Meter, DC Energy Meter, Power Distribution System, Motor Protection System, Digital Energy Meter, Earth Leakage Relay etc. 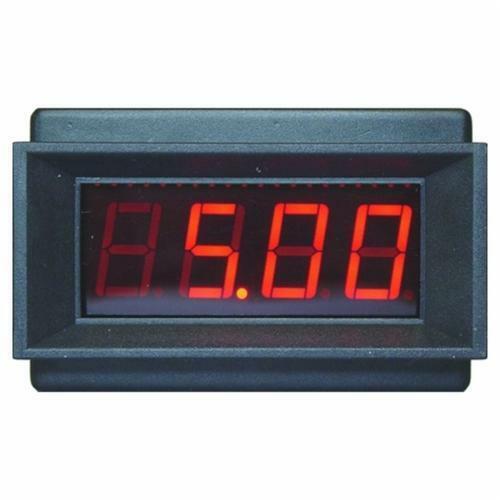 In addition to these products, we also hold expertise in manufacturing other Basic products like Amps Meter, Volt Meter, Hz Meter and RPM Meter. Each of these products is manufactured using superior quality material and employing latest technology. We also provide installation facility for the devices offered by us. Our product range of Energy Management Systems is highly sophisticated and finds application in diverse areas like Engineering, Automobiles, Textile/Spinning Mills, Hospitals, and many others. Owing to the versatility of our product range, which enables it to be used in diverse application areas, we have developed a spread out client base and acquired many reputed clients in different sectors, such as Honda Motors, J K Tyres, Mico, AVG Automation India Pvt. Ltd., ITC SoftPark and others.